Home Personal Tips Rainy Mood: Do you like the sound of the Rain? 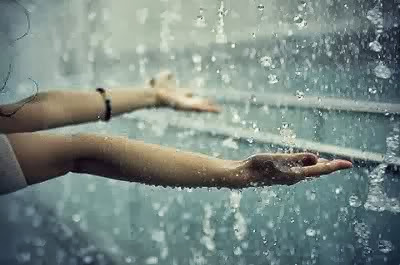 Rainy Mood: Do you like the sound of the Rain? I really don't know if there's really a philosophical or psychological reason why I love the sound of the rain but one thing I know is that raindrops for me has a relaxing and calming effect which helps me think and contemplate my thoughts. Personally, laying in bed is the best time to listen to the rain fall and every time I close my eyes, rain is the serenity of my heart. Let's admit it, although, rain is accompanied with thunders at most times, still, it is indeed the most felt natural lullaby. I'm not talking about the big storms, of course, but of those slow rains for hours and hours. That’s what I like. Since I love the sounds of the rain, I would like to share to you my stumble upon discovery last night. I found Rainy Mood. Now, I can hear and savor the sound of the rain whenever and wherever I like. It gives me many great feelings. I find it inspiring, refreshing, and comforting. As its tagline goes: "Rain Makes Everything Better". Basically, RainyMood.com is a website that makes it sound like its raining outside. In case you don't know, you can you download it to your mobile too. Available both on iTunes and Google Play. -requires iOS 4.3 or later. Compatible with iPhone, iPad, and iPod touch. -compatible with all of your android devices.